After months of development and lots of experiments, we are now ready to present the very first screenshot of our next game! 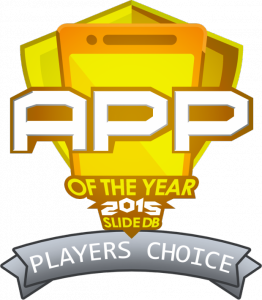 We are very excited to announce that Cyclos reached the 3rd position as “App of the Year 2015” on SlideDB’s Players Choice, among 2500 mobile games! Check out the results page here. We’d like to thank our wonderful community for its great support. You are the best! If you haven’t already done so, now is a good time to subscribe to one of our social media pages, as we’ve got more exciting news in store for you! Thanks again, and may the new year bring happiness, excitement and creativity to your life! 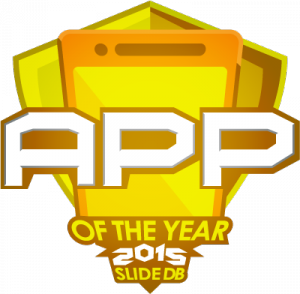 Some of the top picks from this year’s Top 50 are Cyclos: Revolution, Space Jump, Discouraged Workers, DeadRiot and DuneCraft RTS among many other great apps. PS: There’s a second phase, ending tomorrow, that will determine the top 5. 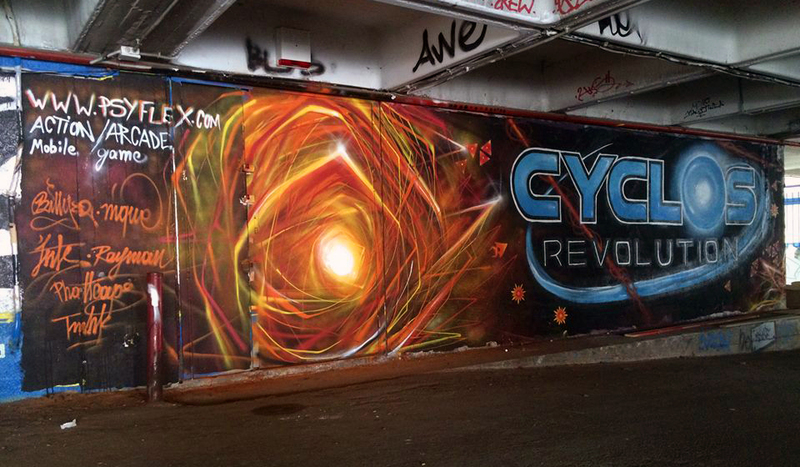 If you enjoyed Cyclos, this is a great opportunity to help increase its popularity. You can vote with a single click. Spread the word! Ever wondered how do they spawn enemies in games, in such a way that the spawn positions make sense and are somehow unpredictable? “Simple”, you might say, “just use random numbers”. Well, this kinda works, at least most of the times. The problem lies within that 1% of times when you happen to spawn a monster on top of another or at a position that doesn’t make any sense. Depending on the game specifics there might also be other problems, like spawning large groups too close together, leaving most of the screen empty, spawning off-screen et cetera. A snapshot of the Awareness Sensor in action. To ameliorate the fact that this is a regular grid, we add a random displacement within the boundaries of the cell. Even though this grid approach is trivial in theory, making it run fast was rather complicated. We’re not going to bore you with the details. Just note that not all possible positions are displayed. 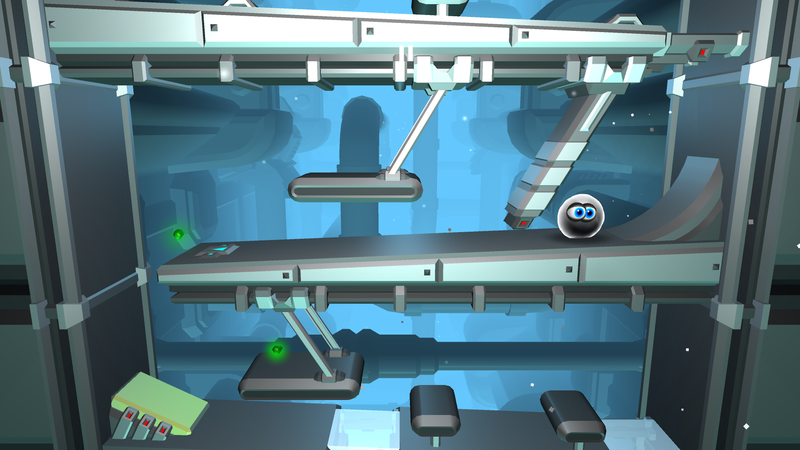 The sensor is only working when more spawn positions are required, being gentle to your mobile’s battery so you can play more! Stay tuned for more news and behind the scenes stuff! Psyflex, after being around for a year couldn’t ask for a better birthday present! One of our most beloved little creatures in Cyclos’ universe is the Paragon. This enemy evolved at various levels, both in complexity and importance, from its conception. The first generation of Paragons! At first, Paragons were introduced in the game as little irregularly shaped enemies that are easy to kill and come in large groups, an easy enemy to just spice things up. Subsequently this role was played by the Spikes, even though they evolved as well (in a symbiotic relationship with the Detonator), but that’s a whole different story! The Paragons got their name from their irregular shape. The name comes from a Greek word that translates to “Shape with irregular angles”. So we made the Paragons attract each other, but also repel each other if they came too close. Furthermore, because of their simplicity, we got rid of the irregular shapes and made Paragons triangular, which is the simplest possible 2D shape. We kept the name though because we liked it! 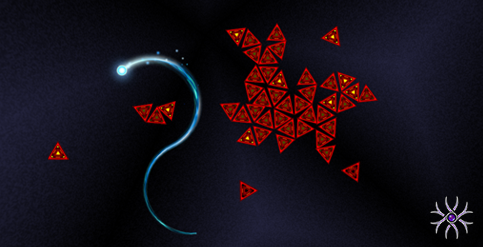 This setup led to two different improvements: firstly, because of the attraction and the triangular shape, the Paragons were forming temporary constructions that resembled Tangram. Those constructions were indeed irregular which we found ultra cool! It was like a prophecy being fulfilled! From then on, the Paragon’s name retained its original meaning. We decided to encourage this behaviour by adding connections between Paragons that happened to be at the right configuration. Think about it as atoms forming molecules. Secondly that simplified physics model left most of the Paragons staying still. They were too easy a target. 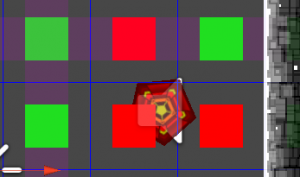 So we decided to introduce yet another force that makes them follow the player at regular intervals. 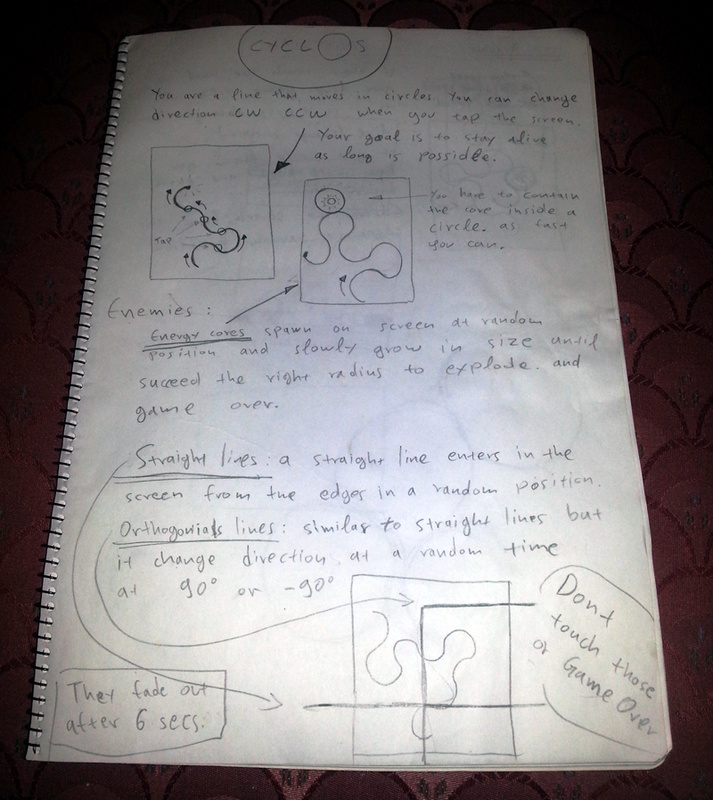 The last addition worked unbelievably well with joint Paragons, because the intervals were not synchronized and those extra forces made the “Paragon Complex” deform, which made it look like a complex organism that extends its “arms” to get you! Paragon Complex firing part of itself! This last setup made it all the way to the open beta. The beta gave us the final idea that made the Paragons what they are today. You see because Paragon Complexes are harder to kill, we gave them extra reward points. So it became a common strategy to avoid them until they grew into large complexes and wait for a Deathless powerup, then kill them easily and collect a substantial amount of points. We handled that by just making Paragons self-destruct after a given amount of time. This way the complexes could never become too large. There were also some awesome side-effects. Complexes could now split in half and surround you. Our favourite side effect is the fact that Paragons near the edge that get detached, are also propelled by the explosion when their neighbour self-destructs! It’s like the super-organism is firing part of itself towards you! 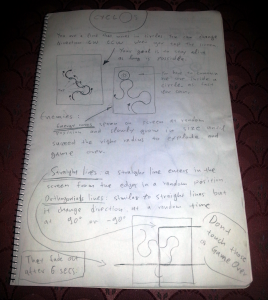 About a year ago, Geo put his first thoughts about Cyclos on paper. This page is the first of many others where each thought gave rise to multiple others. Thus the design of Cyclos was unfolded piece by piece. We filled a couple of notebooks this way. Can’t say that all pages are that presentable though! This collection of notes resulted in months of hard work. The initial design was for about two months, but so many awesome ideas came along the way as we played the first builds, that we thought it unforgivable to leave some of them behind. We are satisfied with the result and think the extra time was worth it! Nevertheless … there are many more ideas we haven’t had time to implement yet, but we intend to, in upcoming updates. Stay tuned! 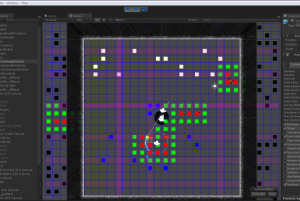 In preparation for our upcoming update, we have a new game mode under development. We can’t say much at the moment, but let’s just say, this mode is going to be a radically different one! After a long week-end during which we analyzed our beta-testing results (and some very interesting results came out of the beta! 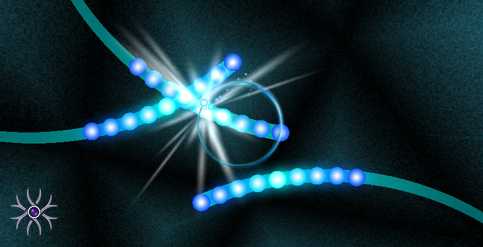 More on this in following posts), Cyclos is finally published on Google Play and ready for action! 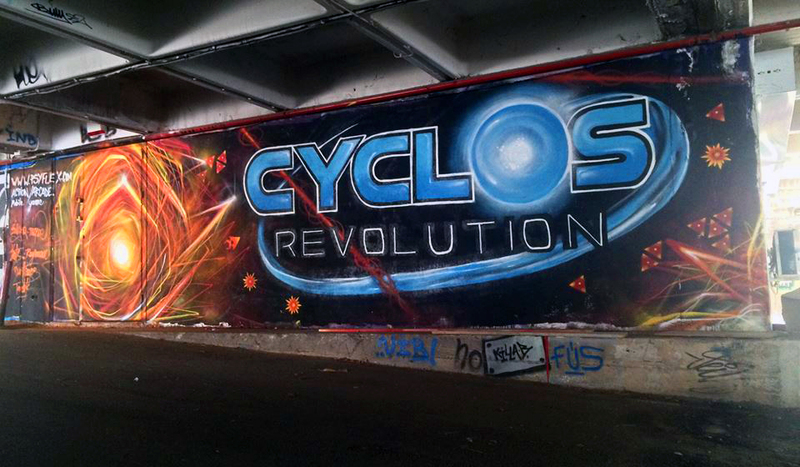 We are happy to announce that our new game, Cyclos: Revolution is nearing completion and will soon be released on Google Play for Android devices! We had a great time during the development. We are so excited and there’s so much we have to say about our little creation! Instead of just talking about it, we decided to show you the full game in an open beta, the outcome of which will determine the overall fine-tuning of Cyclos. 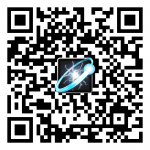 Play the game now and win exlusive prizes! And invite your friends too!